2）Similar funding system for making charcoal from native wood, harvesting grass leaves for compost etc. It might be a kind of membership fund from urban corporation or citizens. Mar. 2011 To be designated as an 100th Anniversary event of Hamamatsu city. Apr. 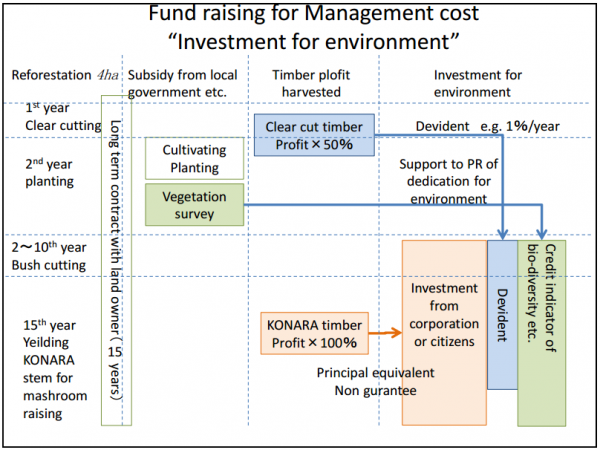 2011 To start inviting donation or investment for funding; To start proposing second project, e.g. making charcoal from native wood, harvesting grass leaves for compost etc.